Funeral services for David Warlick will be held at A Glorious Fellowship Church in Collinsville with Pastor Candace Brim and Pastor Kristi Mullins officiating. Interment will follow in the Osage Gardens Cemetery under the direction of the Sien-Shelton Funeral Home. David Warlick, age 67, of Skiatook, passed away at 9:23 p.m. Saturday, August 11, 2018 at his residence in Skiatook. David was born October 21, 1950 in Ft. Scott, Kansas to Henry Leon and Mildred Archline (Black) Warlick. He grew up and received his education in Owasso, Oklahoma. David married Sheila Kay Fancher September 13, 1969 in Skiatook making their home in Owasso, Sperry, Turley, and Catoosa before moving to Skiatook in 1975. He was an independent salesman for Borden and Meadow Gold. He owned Daylight Doughnut shop and Coney Hut in Turley. 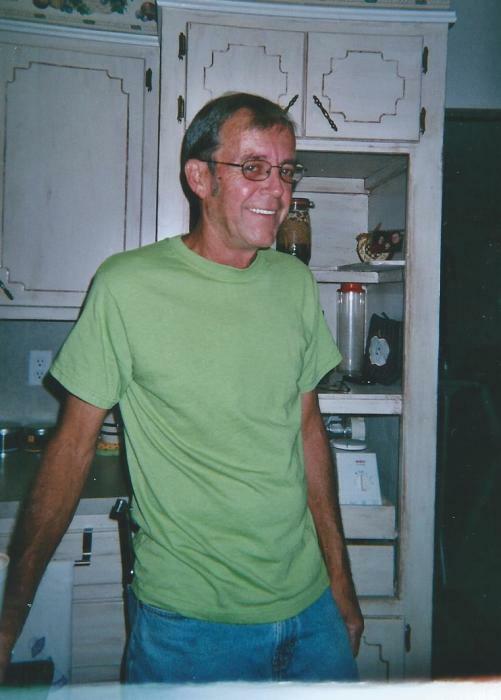 David liked going to the lake, remodeling his home, appreciated old hot rods, enjoyed listening to a variety of music with his children and was an excellent handyman. David was preceded in death by his father and mother, Henry and Mildred, one son: Jeff Warlick, and one sister: Linda Funkhouser. David is survived by his wife: Sheila and children: Greg Warlick, Melissa Preslar, Josh Warlick, sister: Sharon Sumter, five grandchildren, and a host of other relatives and friends. Pallbearers for the services will be: Greg Warlick, Josh Warlick, Chris Preslar, Cole Fancher, Daren Baldwin, and Ryan Horn. Honorary pallbearers for the services will be: Zach Warlick, Tyler Warlick, Wyatt Preslar, Weston Preslar, Jaiden Barnes, Patrick Hagar, Trevor Fancher and Reed Fancher. in Lieu of flowers the family is requesting memorial donations made to the A Glorious Church /Sponsor Teen To Camp. you may call the church at 918-371-4589 or mail your memorial to A Glorious Church 915 North 19th Street Collinsville, OK 74021. Denote: Sponsor Teen in honor of Warlick Family. The family of David Warlick entrusted his care and services to the Sien-Shelton Funeral Home.